In Fall 2016, one of my friends in Jeonju approached me with an opportunity to do some website work for an up-and-coming startup in the city: Mars7. The company later changed their name to MarsX (as the CEO, it turns out, is a really big fan of SpaceX). We are opening up a new horizon in life through the development of Underground Space as a SynchTech organization that can easily, safely and innovatively develop an underground world that humans have not approached yet. One of the first things the company wanted to do was update their logo to be more professional looking as they wanted to print business cards within a week. The following is my design process and the final result. The first designs look to have been created by the CEO himself and used in his PowerPoint slides as he presented his company to various government offices. You can also see the iteration from “Mars7” to “MarsX” in the second concept where the planetary arc divides the logo and creates an “X” shape in the vertical of the number 7. The CEO indicated that he really liked SpaceX, their logo, and their website, and wanted something “similar” as well. So, I started out by investigating various space-age style fonts. I wanted the font to be able to be used easily within the website design as well, so I first checked what was available on Google fonts. I ended up deciding on a thick font called “Play” and continued iterating on the arc of the design. 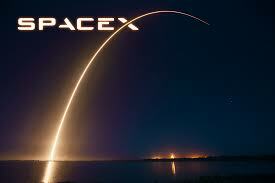 You can notice in the SpaceX logo design how the arc looks like the path a rocket takes as it is launched into space. This is an intentional part of the design that adds motion and energy to the logo. The initial concept of the planetary arc OVER the company name: “Mars7” had a similar kind of energy in my mind when viewed at a small size on the CEO’s smartphone. It looked like the first rays of the morning sun rising above the planet’s surface – so initially, I thought to maintain that look. However, I also noticed that the second concept looked more like the arc was drilling a hole through the logo – and this is likely exactly what was intended. MarsX is a company that seeks to develop Underground Spaces, like creating business centers and parking garages underground, and so much of their work does involve drilling through the earth. So, I also created a few designs along those lines. I still wasn’t entirely satisfied with these logos, but was running out of time to do something great with them. On a whim, I decided to rotate the arc slightly to see if I could make a better “X” shape with it. But, at the first “click” to a 45° angle and with that exact length, I was “happily surprised” to see what resulted. The originally boring logo became something beautiful. I worked up a number of concepts and sent them to the CEO for approval. I also created a business card concept for him to consider with the logo in a real world use case. He really liked it! And they agreed to use the new logo on their business cards. After showing the logo to the manager of the startup incubator where he worked, they decided to update the typography slightly to more closely follow the SpaceX logo and add a little more energy to it by putting it in italics. The final design can be seen below. The business cards they printed (before applying italics to the logo) can also be seen below.